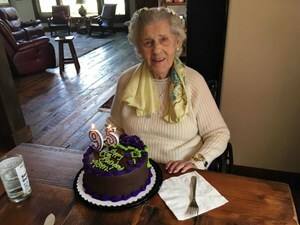 Newcomer Family Obituaries - Rose Keller 1922 - 2019 - Newcomer Cremations, Funerals & Receptions. Fort Logan National Cemetery, 3698 So. Sheridan Blvd., Denver, CO Staging Area/Shelter "A"
Rose Keller, 96, of Durango, Colorado, formerly of Littleton, died February 2, 2019 at The Cottonwood Inn in Durango, Colorado. three grandchildren: Kati, Taylor and Brady; and six great-grandchildren. She was preceded in death by her husband, Bernard. In lieu of flowers, please make contributions to the Cottonwood Inn Social Fund. 10001 W Jewell Ave., Lakewood, CO 80232. Add your memories to the guest book of Rose Keller.